One of the most effective–and delicious–ways of experiencing any travel destination is to sample its local fare. One of the best ways to truly appreciate that fare is to get to know the chefs who prepare it. In our ‘Meet the Chef’ blog series, we’ll take you behind the scenes, and into the kitchens, of some of Warren County’s most popular eateries to meet the culinary masterminds behind it all. 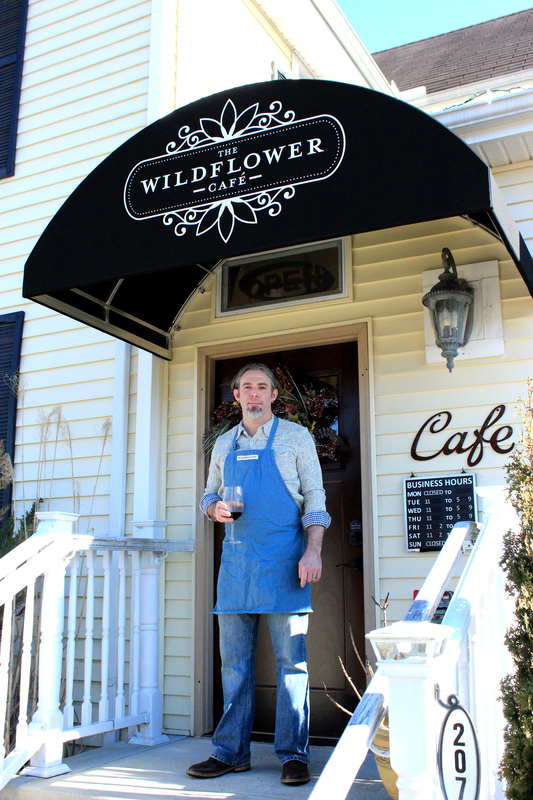 In our first installment, we bring you Todd Hudson, Owner and Head Chef of Downtown Mason’s Wildflower Café. Where did you get your culinary training? I’ve worked in kitchens my whole life. My family has been in the restaurant business for about 70 years. My great grandma even owned a restaurant, so maybe it’s in my blood. What other chefs inspire you most? Every chef who is truly trying to source quality products from their region has my respect. It’s the harder road to travel, but it’s the right thing to do. The end results will always be better. There are plenty of economic and moral attributes to sourcing locally that go unnoticed, and I could care less about anybody supporting the more industrial food model. How prevalent are local ingredients on the Wildflower Café menu? When we opened in 2008, we decided that we were only going to source ingredients that were the highest quality possible. Organic and local became our mantra. There weren’t many places doing it at the time, but today, most people assume that good restaurants are sourcing like us. If the product doesn’t have a story, we don’t buy it. I’m proud to tell the stories of where all of our ingredients come from, and who produced them. From where do you draw inspiration for new dishes? I love classic, old-time dishes. Chefs were using ingredients like ours a long time ago, and sometimes the most simple recipes are the best at making those ingredients shine. There are so many great ingredients grown around here, I want to incorporate them all at some point. I’m constantly thinking about different ways to utilize more local products. I feel like our food, the weather, seasonality, and the human body should all be in harmony, and eating über seasonally really nails that. How do you balance evolving your menu while also honoring customer favorites? It’s tough. I get bored really easily and want to change the menu every other week. I love the challenge and excitement of creating new dishes. If we can come up with a dish that we all agree is really great, we leave it alone for the most part. We just fine tune it. We are constantly trying to perfect every item on the menu. Eventually, we will replace everything with something better. What is your favorite protein to work with? Local beef–the structure of beef can really change quite a bit based on its breed, diet, age etc. We used to raise our own beef, and I got really captivated by it. 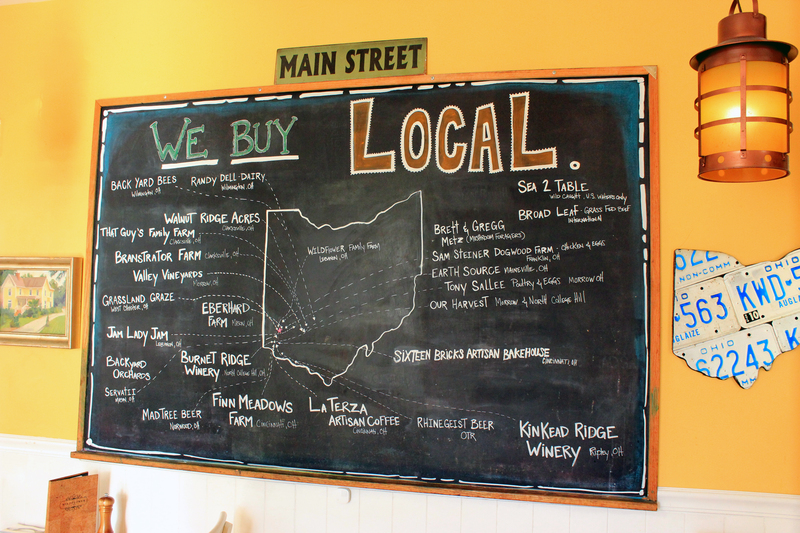 Now we buy from two local farms. My favorite preparation right now is cold smoking grass-fed beef for an extended time, and then searing it. It makes for the best steak I’ve ever tasted. What is your personal favorite dish on the Wildflower menu? We have the best seafood supplier in the country. Our fish comes straight from a fisherman, and we proudly display his name, his boat’s name, and where and how his catch was landed. I eat fish everyday, and I love it. 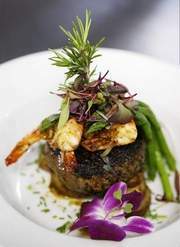 Other than Wildflower, what are your favorite local dining spots in Warren County? I eat at Sichuan Bistro a lot. I’ll stop in anywhere that’s not a chain. There are a lot of great dishes all over the county. What made you select the city of Mason for your restaurant’s location? I love old towns. Mason has a lot of history, particularly in the farming area. Most towns these days don’t really have a central business district with mixed use residential space, but Mason does. Mason has the best demographics of the entire tri-state area for what we were trying to do. It’s been awesome to be here. My grandma’s biscuits and gravy were heaven for me. Partly because she’d always let me help make them, and partly because my whole family would all be sitting at the table eating them together. 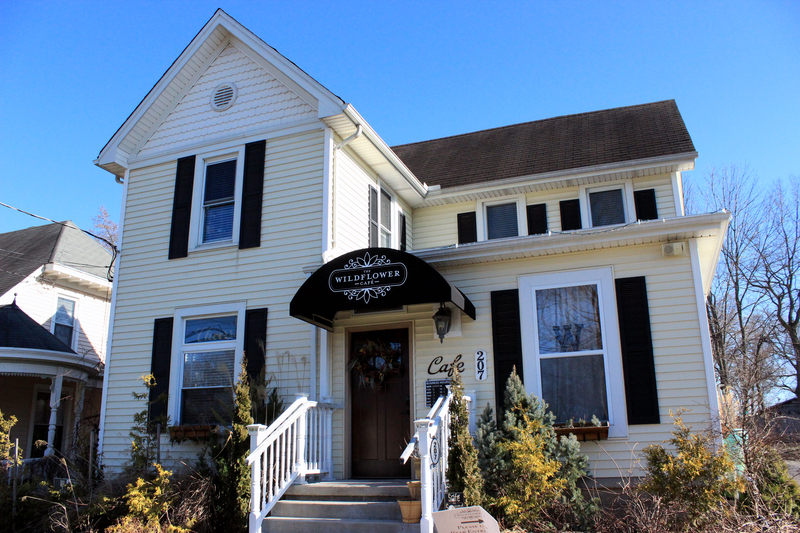 Want to learn more about Todd’s restaurant? Dig in!